The ecom utilises electrochemical sensors to measure exhaust emissions, most commonly 02, CO, NO, N02, and S02 gases and has an available NDIR bench for measuring C02, high CO, and CH4. The robust filtering system along with the Peltier gas cooler and 9V high­ flow pump ensures a clean sample and high flow rate, which is necessary for accuracy and repeatability. The sensors are monitored which compensates for temperature changes in even the harshest testing environments, and the CO sensor has a dedicated fresh air pump which is activated if a maximum concentration limit is exceeded , usually 4000ppm . The robust sample conditioning features, high-speed flow rate, and advanced sensor monitoring make the ecom-J2KNpro industrial analyser unmatched in performance. Fully loaded with sensor options and features, which allows it to be used in many different applications. These applications include emission testing on stationary engines, generators , compressors , boilers, burners, turbines, heating equipment , pumps, diesel engines, mining equipment (to control DPM), construction equipment, laboratory combustion equipment , alternative fuels research, and many other applications. 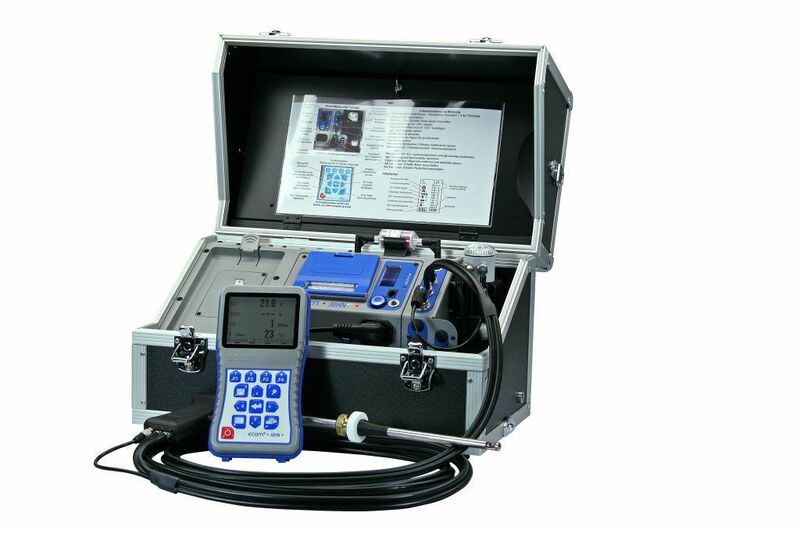 The J2KN analyser is also used for fuel efficiency testing, combustion tuning, maintenance checks, and emissions compliance reporting. The types of fuel burnt that can be tested on the J2KN series include natural gas, oil, diesel, coal, wood, biomass, butane, propane, biodiesel, and other alternative fuels. Gasoline emissions may be tested with the ecom-J2KNpro industrial, but this requires the NDIR bench (for CO).